FW Blackhouse has given local artists a platform and a creative community. The eastern edge of Fort Worth’s downtown contrasts Sundance Square’s bustling bars and restaurants, only a mile away. Across the train tracks on Belknap Street, stray dogs wander the roads, paint peels off of vacant houses, and cars and trains are the only sounds heard for miles. Fort Worth Blackhouse is situated in this seemingly abandoned neighborhood, on the corner of East Peach Street, a two-story wooden house painted ebony, where parties run past 3 a.m. nearly every weekend. You’ll see the festivities spilling out onto the lawn: a photo booth area, a bar with free, bottomless beer, a Taco Heads truck, art installations, a woman in a fedora passing around shots of mezcal. Leon Bridges might stroll into the living room, where Ronnie Heart might be playing an ‘80s disco set. The scene is diverse, a mixture of TCU students, Fort Worth-grown celebrities, artists, and your average nine-to-five business people. They dance with one another, gather outside to chat and cool down, and maybe exchange numbers at the end of the night to collaborate on something. This is the typical experience at Blackhouse, something that has become a refuge for people who are weary of the city’s development and population growth. Its position as a platform for emerging local musicians, artists, and businesses has added value for people wanting a community to fit into, specifically a community that thrives on support and cross-cultural interaction. Noel Viramontes, one of the two owners, describes that the conflict they initially encountered was the presence of “pockets” that people weren’t comfortable coming out of. Sara Viramontes – co-owner and Noel’s wife – says that Blackhouse didn’t start with the objective to combat that issue, but simply to throw parties to support their musician friends. Soon after their unexpected success, they adopted a mission to draw people out of their usual pockets and connect Fort Worth’s communities. This required Noel and Sara’s own financial sacrifices for the first two years. Some parties sold out with dozens of sponsors, while others garnered 20 people to see a musician who lived two blocks away. Creating that exposure for emerging culture and talent, however, has made the investment worth it for the couple as well as the artists. Sterling BLK, a DJ and rapper from Fort Worth, gained traction following his first show at Blackhouse, a concert that brought in 20 people. Staying connected with Noel and Sara, he found his way into management and DJing at other unique events. “My first DJ gig was at an anime convention. It started getting me into performing at other places where you wouldn’t expect DJs and rappers to be,” says BLK. Seeing an opportunity, Sterling, Noel, Sara, and other artists in their network have expanded their support past the corner of Peach Street, frequently turning people on to performances at unique DIY venues in Oak Cliff, Bishop Arts District, and Deep Ellum. That connection remains as they expand their stomping grounds. They’ve now traveled to Los Angeles and opened for well-known artists like Gus Dapperton and Boy Pablo. But each performance is something special, whether it’s at a sold-out venue, a free event, or a tight-knit crowd at a chocolate shop. This is evident when you ask the members about their favorite show. 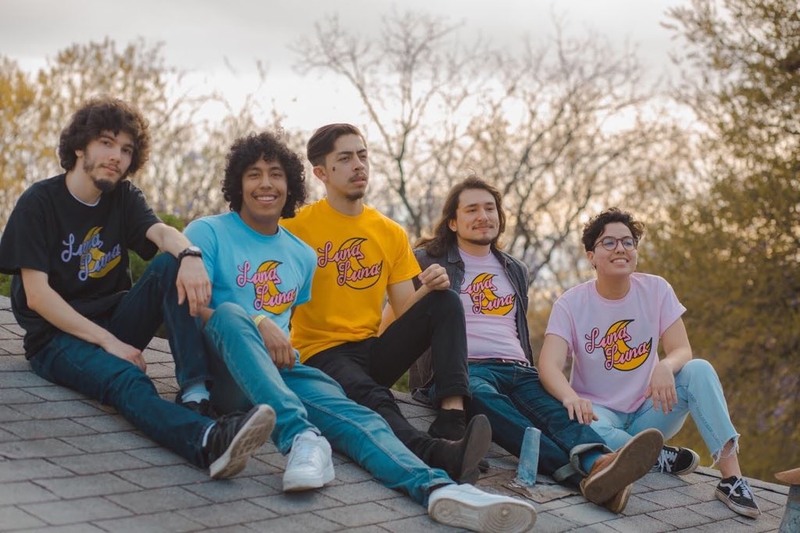 Drummer Kailyn Martinez’s was a birthday party at someone’s house because the crowd, though smaller, “came to party.” Kavvi and bassist Ryan Gordon’s (known as Gordo) prefer one in Oak Cliff, which they arranged themselves and released their first project at. Danny Bonilla and guitarist Neko-Dan say theirs is Gus Dapperton, because it was the first “wow” moment in terms of big-crowd energy. No matter where they perform, whether big or small crowd, their performances capitalize on the community that’s there. Even as this community of musicians and business owners branch out, they find a way to make wherever they are home by appreciating locality. As for Fort Worth Blackhouse, Noel and Sara could see themselves bringing the concept elsewhere, but they’re adamant it will always be local.